For longer than he can remember, Abdel wanted to follow in his father’s footsteps and open a grocery store. He understood the business, “it felt like the natural path to follow,” he explained. But, until recently, the chance to pursue this dream was out of reach for the 59-year-old father of seven. Working as a bus driver for a local school, Abdelsalam was able to make ends meet but, struggled to raise start-up capital to open a business. 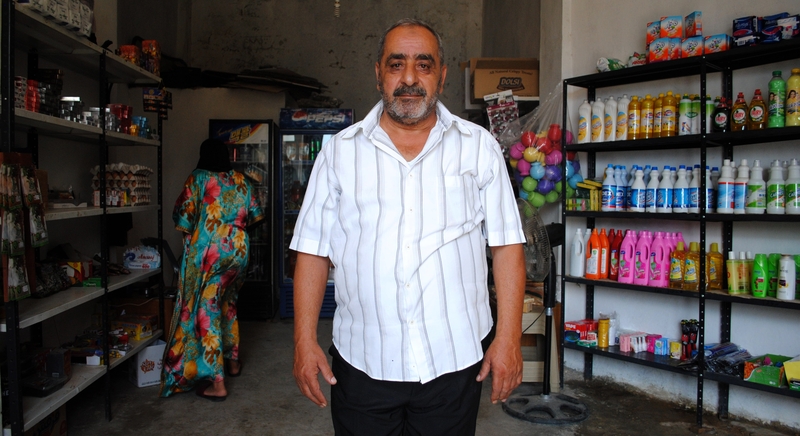 “I had been seriously thinking about how to open a store for about five to six years, but it wasn’t until I knew about the grants that I could take my first step forward,” he said, referring to the NEF livelihoods project that provides training and cash grants to vulnerable Lebanese and Syrian entrepreneurs. Despite the time it took for Abdelsalam to realize his dream, success has come quickly. Less than a year after opening the doors, he qualified for a NEF business expansion grant, has paid off his debts, is financially independent and has no stress.